"1. The patentee (Edwards) appeals the decision,  EWHC 6 (Pat) ... that the claimant’s ... heart valve device did not infringe Edwards’ EP (UK) No. 0592410 but the Patent is valid. CoreValve cross-appealed his decision on validity, but only contingently so: if we decided that its product does not infringe, then it was not concerned with validity. 2. This was not one of those cases where the issue of infringement is interlinked and overlapped with that of validity – the validity and infringement points were independent of each other. So, with the parties’ agreement, we decided to “bifurcate” the appeal by hearing all the argument on the issue of infringement first. Only if we concluded that the product infringed (or were not yet sure one way or the other) would it be necessary to hear the appeal about validity. 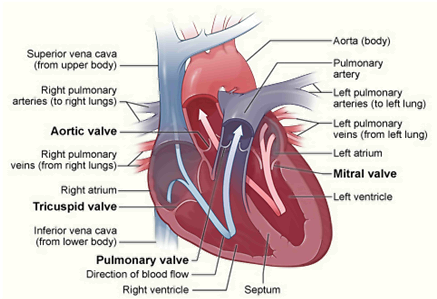 In the event, following argument, we were able to form a clear conclusion to the effect that the CoreValve product did not infringe. We so informed the parties at the time. They were able to agree the consequential order". Bilski v. Kappos: Supreme Court says, "No comment"
U.S. Supreme Court Chief Justice John Roberts has famously repeated the aphorism that, if it is not necessary that an issue be decided, it is necessary that it not be decided. Such is the lesson of Bilski v. Kappos. Apparently taking the Chief Justice's counsel to heart, the Supreme Court has issued an undoubtedly wise but nevertheless perplexing decision that is likely to make patent attorneys relieved but confused ... and leave everyone else simply confused. As every patent law practitioner on earth has no doubt learned by now, the Supreme Court's nine Justices decided that Bilski's claimed invention is an "abstract idea," and therefore not patentable under 35 U. S. C. §101, Gottschalk v. Benson, Parker v. Flook, and Diamond v. Diehr. As to all other questions, however, the Court has delivered a resounding "No comment." Conventional wisdom had already guessed that the Court would rule Bilski's claimed process not subject to patent. That said, all were waiting to hear whether the Circuit Court's "machine or transformation test" is viable, and whether business methods, software, and biotech inventions may be patented. To which the nine Justices replied, in short: Maybe, maybe not. ABSTRACT IDEA: Seemingly the only issue on which the majority does not hesitate is the conclusion that Bilski's claimed process of hedging risk is an unpatentable abstract idea. Not even "limiting an abstract idea to one field of use or adding token postsolution components" can make it patentable. BUT, as Justice Stevens and three other Justices complain in their concurrence, the Court "never provides a satisfying account of what constitutes an unpatentable abstract idea." BUSINESS METHODS: The majority suggests that certain business methods may be patentable: "[T]he Patent Act leaves open the possibility that there are at least some processes that can be fairly described as business methods that are within patentable subject matter under §101." In fact, under 35 U. S. C. §273(b)(1), "federal law explicitly contemplates the existence of at least some business method patents." BUT: "[W]hile §273 appears to leave open the possibility of some business method patents, it does not suggest broad patentability of such claimed inventions." And "even if a particular business method fits into the statutory definition of a “process,” that does not mean that the application claiming that method should be granted." 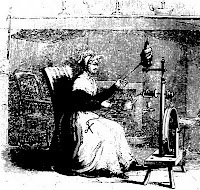 MACHINE-OR-TRANSFORMATION: Scolding the Federal Circuit for the narrowness of its machine-or-transformation test, the Court nevertheless admits that this test is helpful: "This Court’s precedents establish that the machine-or-transformation test is a useful and important clue, an investigative tool, for determining whether some claimed inventions are processes under §101." BUT: "The machine-or-transformation test is not the sole test for deciding whether an invention is a patent-eligible 'process.'" (emphasis added) The Court reasons that new or unforeseen technologies might require standards of evaluation other than the machine-or-transformation test. Therefore the Court interprets §101 to be a "dynamic provision" that may require "new inquiries." What are these new tests? Who knows? The Court offers no suggestions. PATENTABLE PROCESSES, SOFTWARE PATENTS, BIOTECH, ETC. : Because of unforeseen consequences, the Court refused to decide any issue other than the case before it or to rule on whether "technologies from the Information Age should or should not receive patent protection." (All those who had feared a broad pronouncement disqualifying software or other new-tech patents can now breathe a sigh of relief.) It's similarly futile to look for specific guidance as to patentable processes: "The Court ... need not define further what constitutes a patentable 'process,' beyond pointing to the definition ... provided in §100(b) and looking to the guideposts in Benson, Flook, and Diehr." There is, of course, quite a good rationale behind the Court's position; the majority is deferring to Congress's aim of facilitating innovation. According to the Justices, §101's "expansive terms" and "permissive approach to patent eligibility" indicate the legislature's intent to give "a liberal encouragement" to innovation. 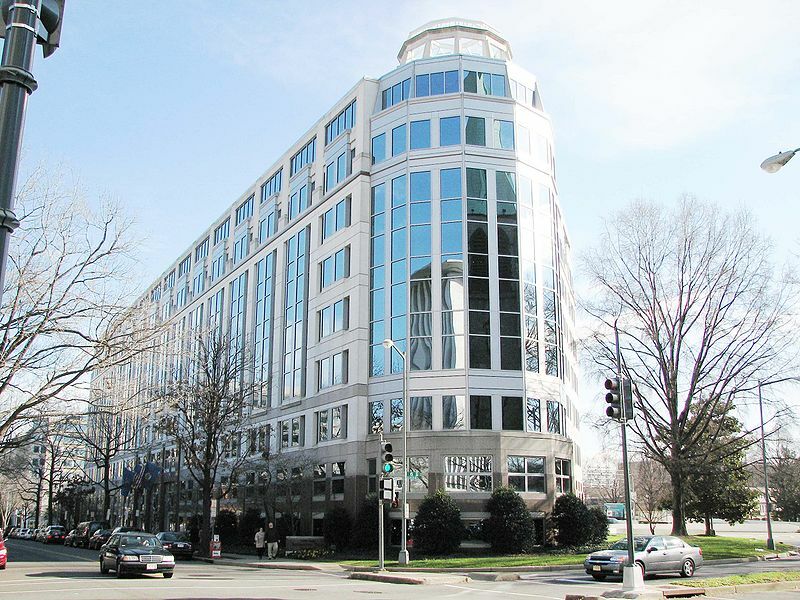 The Federal Circuit's exclusive and artificial machine-or-transformation standard imposes upon the statute "limitations and conditions which the legislature has not expressed." Again, almost no one expected the Court to uphold Bilski's patent. The only aspect of this ruling that seems to have surprised anyone is its vagueness. Given that the Court rejects Bilski's business method as an "abstract idea," it would have been helpful if the Court had made more effort to define that term. One can hazard a guess that cases involving claimed business methods will revolve primarily around this question in the near future. As Tom Goldstein mused diplomatically on the Supreme Court blog, "the breadth of today's ruling is an open question." Thus Bilski v. Kappos, the most anticipated patent law case in recent history went out not with a bang, but with a whimper. No sweeping pronouncements and few definitive declarations were in evidence. In fact, the majority opinion may raise more questions than it answers. This, of course, can only work to the benefit of most patent attorneys, who make a living from the continued raising of such questions. Signaling how seriously it takes IP issues, on June 22 the Obama administration released the first-ever Joint Strategic Plan for Intellectual Property Enforcement (JSPIP). Last week Vice President Joe Biden and U.S. Intellectual Property Enforcement Coordinator Victoria Espinel joined Attorney General Eric Holder, Homeland Security (DHS) Secretary Janet Napolitano, and representatives from the Trade and Commerce departments to announce the Plan. A multi-agency effort aimed at stemming intellectual property theft, the JSPIP sets out a scheme for cooperation among the DHS, Federal Bureau of Investigation, Secret Service, Customs and immigration agencies, and other federal entities charged with intellectual property issues and law enforcement. "Infringement of intellectual property can hurt our economy and can undermine U.S. jobs. Infringement also reduces our markets overseas and hurts our ability to export our products. Counterfeit products can pose a significant threat to the health and safety of us all." improved tracking of funds used in IP enforcement. Microsoft has offered to support the Plan by helping to prevent illegal businesses from advertising online sales of counterfeit medicines. Curiously, the Plan contains few specific provisions addressing patent law; its authors focus mainly on copyright and trademark issues. A White House spokesperson has nevertheless assured PatLit that the USPTO was closely involved in the Plan's development, and that the JSPIP indeed covers patents. We're awaiting further details. Meanwhile, read the Plan here, or view last week's press conference here. Readers may recall our earlier report that, in April, a Second Circuit panel grudgingly ruled for Bayer and Barr pharmaceutical companies in In re Ciprofloxacin Hydrochloride Antitrust Litigation. 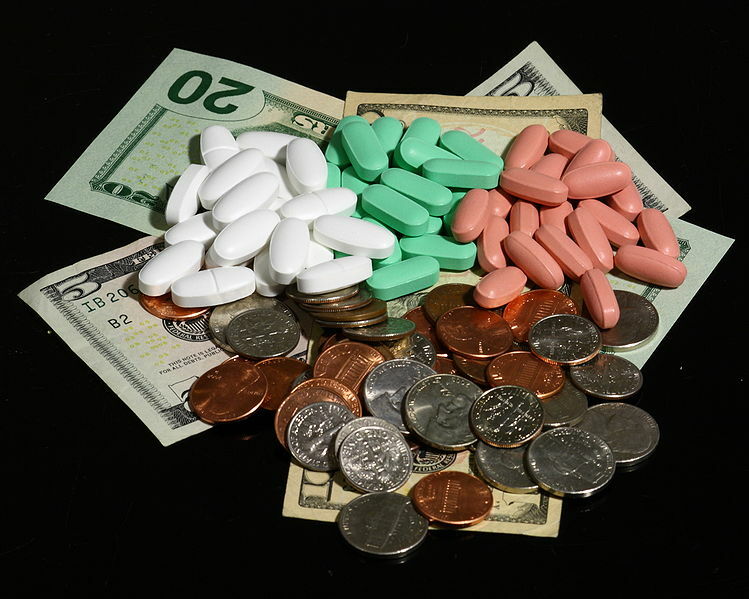 Bound by Tamoxifen, the panel determined that reverse payment ("pay-for-delay") arrangements between branded and generic pharmaceutical companies did not violate antitrust laws. But, apparently swayed by the plaintiffs' public interest arguments, and moved by the "'exceptional importance" of the antitrust implications," the panel invited the plaintiffs to request an en banc Tamoxifen rehearing. The wheels have started turning. Last month the U.S. government's Federal Trade Commission (FTC) and a group of 86 professors filed separate amicus curiae briefs asking the court to grant en banc review. Long opposed to reverse payment deals, the FTC argues in its brief that the Tamoxifen decision "protect[s] undeserved patent monopolies" and "improperly undermines the balance ... between the public interest in encouraging innovation and the public interest in competition." The FTC also cites studies indicating that getting rid of pay-for-delay could save consumers roughly $3.5 billion annually, and that "a one-year delay in generic entry represents ... a transfer from consumers to producers of about $14 billion." For their part, the professors (represented by Stanford law professor and Durie Tangri partner Mark A. Lemley) argue that reverse payment arrangements are per se illegal. They also point out that an issued patent carries only a presumption of validity that does not grant a patentee "an absolute right to enter into a settlement that excludes competitors from the market." Moreover, the professors hint that, in In re Cipro and other reverse payment cases, the patentee's massive payout to the generic may indicate that the patent holder believed its own patent was invalid. Is it worth bothering, if all you get is Hungary? "On May 12, 2010, the Hungarian Patent Office (HPO) ruled in favor of the Hungarian soccer gear inventor Laszlo Oroszi in his patent infringement suit against the German sports apparel manufacturer Adidas, concerning Oroszi’s patent known as the ball-directing striped-line zone that Adidas allegedly, without Oroszi’s authorization, incorporated into their Predator Precision range of soccer shoes. Oroszi told the Budapest Report that he registered the patent in Hungary on October 14, 1996, explaining that the striped zone at the tip of the shoe permits football players to shoot more accurately. 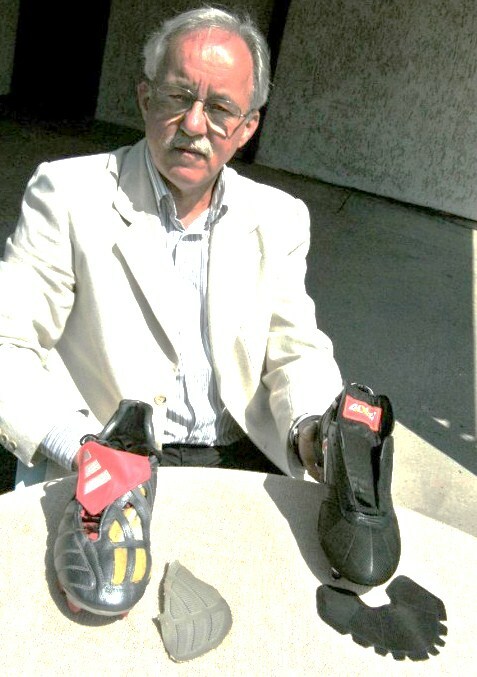 Oroszi’s representative presented the patent to Adidas in 1998, but Adidas declined the offer claiming that it does not fit into their concept for the then new Predator Precision soccer shoes. However, Oroszi claims that the Predator Precision soccer shoes with his patented concept were launched just before the Euro 2000 soccer Championship. In 2006 Adidas initiated a nullity proceeding against Oroszi’s patent in Hungary in response to Oroszi’s patent infringement suit. The German company argued that Oroszi obtained an invalid patent and demanded that the HPO annuls it. As a result, the court suspended the patent infringement proceedings until the patent status became resolved. Last fall, the patent status was resolved in favor of Oroszi. This was the third time that Adidas appealed and that HPO ruled in favor of Oroszi. Adidas was left with no new grounds to object against Oroszi’s concept, resulting in the patent infringement case coming out of suspension. Oroszi notes that, although Adidas earned millions by using his concept without his consent, he cannot sue the company outside Hungary, as he has no funds to obtain foreign patent protection. As stated in the Budapest Report (here), although Adidas negated the accusations and maintained that they used their own ideas, they were not able to provide the patent for the concept that was built into their soccer shoes". Through lack of funds Oroszi was apparently limited to bringing his action in one small jurisdiction which, presumably, does not award damages in respect of infringement of the same patent by the same defendant outside that jurisdiction. If an inventor can afford to protect his patent in Hungary alone, is it worth bothering to get a patent at all? Here's a treat for PatLit readers: today's ruling by Mr Justice Arnold in KCI Licensing Inc and others v Smith & Nephew plc and others  EWHC 1487 (Pat) -- all 214 paragraphs of it --is not yet available on the BAILII website, but you can read the full text here. In short, the judge found KCI's negative pressure wound drainage patents valid and infringed. I've not yet had a chance to read this decision -- but will revert to it once I've done so. More on negative pressure wound therapy here. If Professor Colleen Chien is correct, the Supreme Court will take the advice of its friend the U.S. government in deciding the outcome of Bilski v. Kappos. Recently Chien, of the Santa Clara University law school, wrote an article examining the influence of amicus briefs in patent law cases. In "Patent Amicus Briefs: What the Courts' Friends Can Teach Us About the Patent System," Chien examines more than 1500 amicus briefs filed in patent cases in the past 20 years. Chien notes that, although amicus briefs appear in general to have influenced the Supreme Courts' agenda, the briefs of certain amici matter much more than others. Of all the amici, the federal government by far carried the most weight: "[a]micus briefs authored by the United States predicted the winner 90% of the time at the Supreme Court." (Compare this staggering success rate with that of university amici, only 6% of whom argued on the winning side.) Moreover, "In every single Supreme Court patent case ... in which the US government filed an amicus brief except for one, the Court sided with the government." In practical terms, this means that one can predict the outcome of a case just by looking at the government's brief. The reasons for this? Government briefs not only consider matters of patent law, but may also examine public policy concerns, the market, antitrust and consumer issues, and international agreements and comity. Thus, government briefs are likely to reflect a larger number of interests (as well as privileged access to certain information). What this means for Bilski, Chien claims, is that, "If history is any indication, the Supreme Court will almost certainly follow the US Government's lead and rule that the method is unpatentable and likely adopt some of its reasoning as well." However, the federal government is far less categorical on the continued viability of the machine-or-transformation test, the potential patentability of business methods, and the question "how abstract is too abstract?" As to business methods and processes, for instance, the government does not insist strongly that they are inherently either patentable or unpatentable, but states only that they are “subject to the same legal requirements for patentability as applied to any other process or method.” This reticence leaves the Court some room to wrestle with borderline issues. Perhaps these sticking points have caused the Court's delay in issuing a decision, as the Justices formulate language that could provide for a future process patent; revisit the machine-or-transformation test; and perhaps address the limits of abstraction. Faced with mounting costs and headaches stemming from litigation by NPEs (non-practicing entities, or "patent trolls"), more and more operating companies are resorting to a novel means of addressing the problem. As part of their defensive patent strategy, tech giants (and top troll targets) Microsoft, Sony, and Nokia recently joined with startup company RPX. In business for a little over a year, RPX ranks among the pioneers in the Defensive Patent Aggregation movement. It was created to offer operating companies a solution to the growing problem of lawsuits from NPEs. Until now, most companies have had to go it alone in mounting costly, risky, and unpredictable legal defenses. RPX criticizes the NPE business model for creating inefficiency via high transactions costs. But unlike Microsoft and others who have lobbied the U.S. Congress in the hopes of securing anti-NPE legislation, RPX insists that "[t]the optimal remedy" for NPE patent assertions is a market solution, or "fight[ing] fire with fire." To that end, RPX strategically buys up patents, thus limiting the number of patents on the market that can be leveraged against operating companies. Unlike the NPEs, however, RPX does not initiate or directly profit from patent assertions; instead, it offers a form of insurance. All patents that RPX purchases into its Defensive Patent Aggregation are licensed in bulk to its members, in exchange for an annual subscription fee. Early this year, RPX reported that it had so far spent $130 million to acquire more than 1,000 tech patents. Though perhaps the most popular, RPX is not the only company offering defensive aggregation services. Other networks include Allied Security Trust and the Open Invention Network. 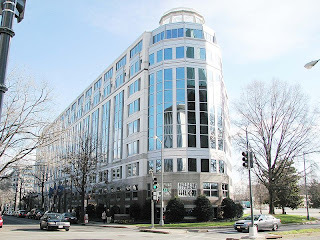 With the advent of such entities, the trend in patent litigation circles has changed from getting rid of NPEs altogether to managing the costs of NPE patent litigation -- offering yet another indication that the so-called trolls are here to stay. Mr Justice Floyd (Patents Court, England and Wales) gave judgment this morning in Nampak Cartons Ltd v Rapid Action Packaging Ltd  EWHC 1458 (Pat) , an appeal against the decision of the hearing officer not to revoke Rapid Action's patent for sandwich cartons. It's a fairly low-tech case which doesn't hugely set the pulse racing, but it's worth quoting the judge's direction to himself as to how to address the issues before him (mainly failure to have due regard to expert evidence; failure to apply common knowledge and to construe the claims of an earlier patent when determining whether Rapid Actions' patent was for an invention that lacked inventive step). 11. By CPR [Civil Procedure Rules] 52.11, as applied by CPR 63.17(1), this appeal is limited to a review of the decision below unless the court considers in an individual case that it would be in the interests of justice to hold a rehearing. 12. ... in those circumstances, before this court interferes with the decision of the Hearing Officer, it should be satisfied that he erred in principle or was clearly wrong. "Where the application of a legal standard such as negligence or obviousness involves no question of principle but is simply a matter of degree, an appellate court should be very cautious in differing from the judge's evaluation." 15. The facts of the present case are not complicated. That means that there is a temptation to be drawn in to deciding the case afresh oneself. That is a temptation which needs to be resisted". First it's patent litigation ethics, now it's plain misconduct -- is this the hand of coincidence at work or is there someone at Oxford University Press who is out to stir the consciences of United States patent litigators? Just published, and the focus of this note, is Patent-Related Misconduct Issues in U.S. Litigation by Joel Davidow (a partner in IP boutique Kile Goekjian Reed and McManus of Washington, DC). The publisher's blurb claims that this is "the first book of its kind to provide a comprehensive review of misconduct claims and defenses, with reference to existing case law and litigation strategies", pointing out that it is "designed to serve as the first comprehensive review of conduct defenses and counterclaims, with a focus on existing case law and litigation strategies". So what's in it for the reader? "The first section of the book addresses claims involving misuse of the patenting process, with a focus on patents on a product or process the patentee did not invent as claimed and inequitable conduct claims, including intentional failure to cite material references and false or misleading declarations. From here the book turns to claims based on the misuse of the litigation process, including baseless and bad-purpose suits. The third and final section of the book describes claims based on the misuse of the competitive (antitrust) and licensing processes [the author has also served a substantial term with the Antitrust Division of the Department of Justice, so this is obviously a pet topic]. Each section of the book is divided into sections devoted to law and strategy, with practical guidance related to handling document demands and other discovery requests, expert testimony and waiver issues. This book is designed to provide patent litigators with a double arsenal of unprecedented case-law analysis [personally I prefer it 'precedented' if I'm to cite it in court ..] and litigation strategy related to the "wild cards" of infringement cases: affirmative defenses and counterclaims based on assertions of patent-holder misconduct. ...". What is fascinating is the thought that United States practice can generate the need for a book like this while in the European Union, a market which is twice the size and has a pretty good slice of patent litigation before it, no book on this topic has ever emerged. Bibliographic data. xv + 233 pages. Paperback, ISBN 978-0-19-533720-4. Price: £110. Web page here. Time up for qui tam trolls? Recent 'false marking' cases in the United States have drawn attention to what seems to be a productive little cottage industry in the field of patent litigation, where anyone -- regardless of their commercial interest -- can go in for a bit of bounty-hunting by initiating actions against anyone who falsely marks a non-patented product as being patented (see, for example, the earlier PatLit post here). "H.R. 4954 would amend the false marking statute, 35 U.S. C. 292, which provides for both governmental sanctions and private enforcement actions for false patent-related marking of articles in commerce. The statute calls for fines up to $500 per offense, with private party enforcers entitled to half of the applicable fine. The bill would repeal subsection (b) section 292, which provides that any person may bring a “private attorney general” or qui tam enforcement action against false marking, without a showing of economic or competitive injury, and substitute there for authority for private causes of action limited to persons who have suffered a competitive injury. Remedies would be limited to “recovery of damages adequate to compensate for the injury suffered by the plaintiff”, rather than the 50% bounty system now in Section 292(b). We support changes in the nature of the private actions that may be brought for false markings, and in the recovery allowed. Following the 2009 decision of the Federal Circuit in Forest Group, Inc. v. Bon Tool Co., awards to successful qui tam realtors are based on the number of articles falsely marked, rather than treating each decision to falsely mark as an offense. We believe that there is neither need nor sound policy reason for such an award system, which seems to have inspired a cottage industry of false marking qui tam trolls who have no connection to or injury from the false marking. We support amendment of Section 292 to assure that private actions may be brought by persons who suffer injury from reliance on false markings even though they may not as a technical matter qualify as competitors. For example, small and medium sized manufacturers may lack the legal sophistication to know that they should verify the listing, or the resources to do so. Relying injuriously on the false marking, they decide not to enter the competition. We recommend a clarifying amendment to H.R. 4954 to assure that such parties are eligible to bring an action against the false marker. This could be accomplished by inserting ‘or who was injured by having detrimentally relied on such violation’ after ‘this section’ in line 8, page 1 of the bill". Prima facie the case for reform seems so powerful that it is difficult to see the force of logic of any defence of the status quo. PatLit wonders, though, whether the United States is alone in having a bounty-hunting provision such as section 292 on its statute books -- or is this a reflection of a long-lost strand of patent policy which was once prevalent in patent philosophy elsewhere. In April PatLit reported on an impending title, Patent Ethics: Litigation, by US scholar and professional discipline expert David Hricik. The book deals with conflicts of interests, malpractice, discovery issues, competence, diligence and dealing with expert witnesses, among other matters. That book has now been published and is available from the Oxford University Press website here. Vancouver-based company Destiny Media Technologies, Inc. last week obtained summary judgment for non-infringement of a US patent claim brought by its Canadian competitor Yangaroo, Inc. The disputed patent covered technology for the secure transmission of music and media files to authorized computers in the US by way of file servers located in Canada. Destiny Media developed its Play MPE system, which the recording industry uses for the secure internet distribution of pre-releases to trusted computers at radio stations and other media outlets. Yangaroo’s patent claimed a “method of distributing content” performed on a server. According to Yangaroo, Destiny’s servers in Canada perform the patented process to “manufacture” the music files that were then transmitted into the US. The case was heard in the Federal Court, Eastern District of Wisconsin, where Judge William C. Greisbach gave summary judgment on 7 June, saying: "the claimed method of the ‘712 patent does not embrace the method of manufacturing the content prior to distributing it". Destiny opted for the court's "Fast Track” summary judgment procedure to dispose of the case speedily on the ground that Yangaroo's single patent claim could not be asserted against the activities of Destiny's server computers located in Canada and the UK. Relying on NTP, Inc. v Research in Motion, Ltd, No. 3:01CV767 (E.D. Va. August 5, 2003) the judge held that a patent claim over a method of distributing data does not establish liability under US patent law since transmitted data is not a “product” manufactured by the claimed process. Source: MarketWatch here. Thanks, Bruce Berman, for drawing this to PatLit's attention. The New Zealand tortoise: should we nip it in the bud?
" ... The Patents Bill, which will provide a complete re-write and reform of New Zealand's patent law, has been reported back from Parliament's Commerce Select Committee and is heading for its second reading in Parliament. And in a new twist on the old fable, the Select Committee has added a few hare-like twists to this tortoise of a piece of legislation. Back at the start of the reform process, the Institute of Patent Attorneys advocated a re-examination system, asserting that the opposition process was inefficient and unpopular. When the draft Patents Bill was circulated (in 2002), the Institute did a u-turn, and advocated for retaining oppositions. It is no wonder the Select Committee was confused. The result is that the Bill provides for both re-examination and oppositions. Revocation is of course also available. There are limited restrictions on the number of bites at the cherry a party can take. This proposal is unlikely to achieve efficiency in the system. The dual system instead adopts a "worst of both worlds" approach, and will give determined opponents plenty of opportunities to disrupt, and add to the expense of, patent applications". 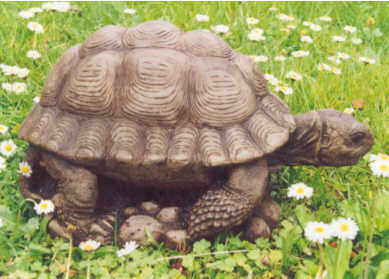 Being in the mood for a mixed metaphor, I'd like to ask whether we should nip this tortoise in the bud. Following a recommendation in The British Patent System: report of the committee to examine the patent system and patent law [the Banks Report], Cmnd 4407, 1970, the UK was happy to scrap before-and-after challenges. It seemed quite outrageous that an opponent, having lost in Patent Office proceedings and then failed on appeal to the Patents Appeal Tribunal, the Court of Appeal and the House of Lords, could then wait till the patent was granted and then apply, on the same ground. to revoke the patent and pursue its application for revocation all the way up to the House of Lords again. I don't think this ever actually happened, through the prospect that it might -- though a boon for patent litigators -- was distinctly unattractive to litigants and legislators alike. The UK, like the European Patent Office, operates a system in which a patent can be challenged only after grant, and this too has its unattractive side. Can any reader think of a better way to do things? It seems to be the topic du jour: NPEs are on their way to becoming downright respectable. In April the United States International Trade Commission (ITC) delivered a boon to these once-scorned entities. The Commission's decision in Certain Coaxial Cable Connectors, Investigation No. 337-TA-650, stated that an NPE's patent enforcement litigation activity can establish a "domestic industry" in a product -- sufficient to prevent the importation of infringing items into the U.S.
To win an exclusion order, an ITC complainant must show that it has established, or is in the process of establishing, a domestic industry in relation to a disputed patent. Under the Tariff Act of 1930, 19 U.S.C. § 1337(a)(2) and (3), this may be accomplished by demonstrating a "substantial investment" in exploiting the patent in the United States, including related licensing activities. In Certain Coaxial Cable Connectors, complainant PPC sought to bar multiple respondents from marketing an item on which PPC owned the patent. PPC did not manufacture the product, own a plant or equipment, or employ workers. Instead the company argued that its legal bills that resulted from enforcing its patent constituted a significant investment in exploiting its patent. Therefore, PPC claimed, it had a domestic industry that deserved protection. The ITC agreed. For its reasoning the ITC relied largely on the Tariff Act's plain meaning and legislative history. In 1988, the U.S. Congress deliberately added licensing as a qualification for domestic industry, specifically in order to overturn the ITC's previous Gremlins decision. From this the Commission concluded that Congress intended to encourage the practical application and propagation of patents and their protected products. Thus, any licensing-related activity that tends to bring a patented item to use or to the market may pass muster -- even if the activity is intended solely to earn revenue from the item. The Commission did limit its decision. Patent enforcement litigation in itself may not constitute exploitation, because it does not necessarily involve licensing. But a patent enforcement lawsuit or other activity may qualify, if the documented activity is "related to licensing and pertain[s] to the patent at issue." Merely owning a patent won't meet the domestic industry requirement; a patent owner must actively take steps "leading to the exploitation of the intellectual property." And whether a complainant's investment is "substantial" must be determined according to the facts of each case. But it's notable how broad a reading the ITC gave for licensing activities, which may include, "among other things ... sending cease and desist letters ... conducting a patent infringement litigation, conducting settlement negotiations, and negotiating, drafting, and executing a license." "... only a tiny fraction of district court infringement cases go to trial, with the typical defendant paying an estimated average of $5 million per case. By contrast, 40 percent of ITC cases go to trial and the average defendant there can expect to rack up as much as $10 million in litigation costs over a much shorter period of time." "How many people would recognize this object? "The vessel in cross-section features the boundaries of its outer and internal sides. At least on the outer boundary and/or the internal boundary, part of the boundary of at least one of the cross sections is executed as a fragment or a combination of fragments of a slanting conical cut of a right circular cone." The description, he explains, comes from a patent filing for an ordinary bottle, adding that in Russia commercial parties have taken to patenting the most obvious things in order to protect themselves against patent trolls, whose tactics come close to a form of hostile takeover and redistribution of property. Although such wrongful practices are not new to Russia, Eugene observes that they thrive in the environment created by Russia's legal system. 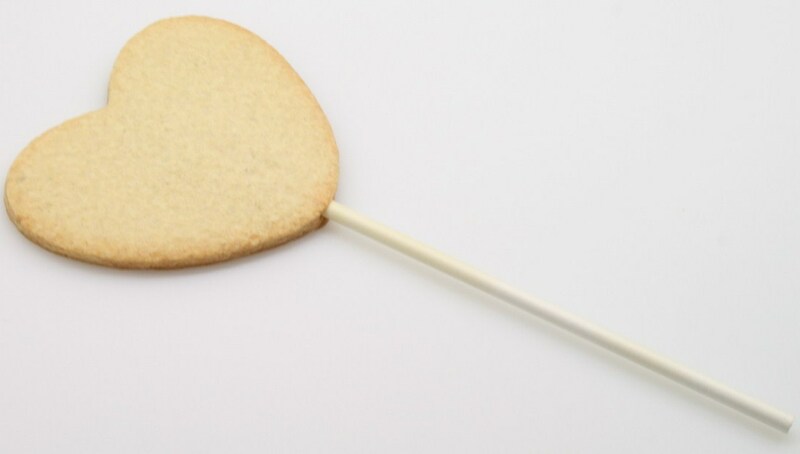 After describing how patents can be obtained for inventions and utility models, he notes that many well-established law firms, eager to play safe and protect their clients' interests, have started obtaining utility model patents for almost anything imaginable ("Patenting a wooden stick for a lollipop might sound ridiculous, but such decisions simply recognize the precarious reality of patent law. Foreign companies must take patent searches seriously, as things that no one would think of patenting elsewhere in the world may need this form of legal protection in Russia"). "Russian trolls pose a greater threat than their overseas equivalents because in addition to pursuing civil lawsuits, they press for criminal proceedings against the target company's management, often using underhand methods. 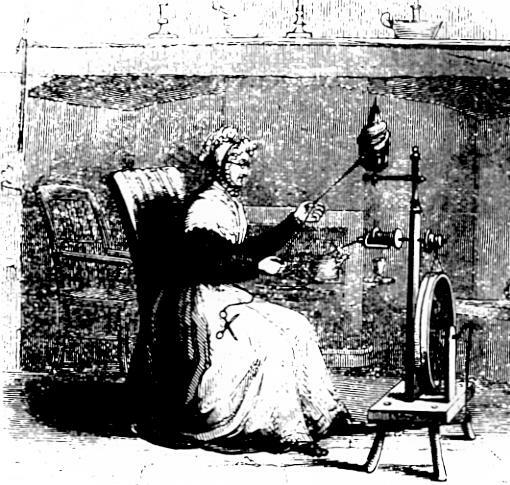 For many years the chief representative of a UK company had to comply with a recognizance not to leave, merely because a group of Russian do-it-yourself enthusiasts had obtained a utility model patent for the suspended floors that the company had long manufactured, and had accused the company's management of wrongfully exploiting the technology in question. In order for businesses in Russia to enjoy proper protection against patent trolls, a Supreme Arbitrazh Court decision is needed to resolve a particular case or review relevant practices in general. The court's position in previous litigation has been that as long as legal protection remains in force, a rights holder may uphold its rights by any lawful means. However, it makes sense for the courts to consider such cases in the context of the abuse of rights and the principle that a rights holder's goal should be commensurate with its efforts to obtain the patent. In the United States, litigation initiated by patent trolls is considered in light of this principle of proportionality. The approach allows the courts to discourage dishonest approaches and protect companies that invest in innovation".